It’s a fact that having almonds after a meal can lower your insulin and blood sugar from high glycemic foods in your meal and thereby substantially lowering your glucose levels. By eating almonds with your meal that is high glycemic lowers the index of the whole meal afterward. Since diabetes is a medical situation where your body is not producing enough insulin or a decline in the potential of your body to use insulin, you need this hormone to allow glucose to be used by your cells correctly to be then converted to energy that your body is in need of for all its normal functions. This is where we need foods such as almonds because they not only help in improving insulin sensitivity, they are very beneficial with lowering your LDL bad cholesterol numbers. There’s been extensive research showing that consuming almonds diminishes the unfavorable effects of having high blood sugar. Almonds are healthy for you because they are very high in fiber, protein, and monounsaturated fats. Because they are composed of these, they have a lot to do with how well your body metabolizes fat for energy and also how well it stores the fat as well. Almonds will help you with obesity and weight loss too. We know that being overweight is a huge marker against you when it comes to type 2 diabetes. Of course overeating and lack of exercise always plays a huge role with having diabetes. So how do these awesome nuts help you with weight loss? Complex carbs need a substantial amount of your body’s energy to break these carbohydrates down. 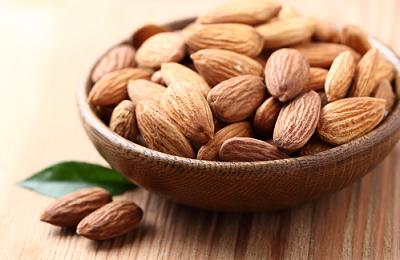 Almonds are packed with these carbs and this leads to losing weight. That will help you with your type 2 diabetes. You need to control the metabolism of fats in your body. This is vital when you have diabetes because your body cannot manufacture the fats and glucose in your body and this outcome is these will stay in your bloodstream. Usually nuts are high in fat and may not be the perfect choice for a diet for diabetes that is low fat. Almonds are the exception because the healthy fats are linked to a lower risk of heart disease. Like everything else moderation is key. For me, always loved chocolate and I always chose the Hershey’s chocolate with the almonds in them! But that’s not the case now with diabetes because of the sugar ingredients. But it doesn’t mean I give up the almonds just because of the chocolate! The key here with almonds is to fit them into your meals whenever you can. You can add them to soups or salads or just have them as snacks. By having them with your meal you are lowering your insulin and blood sugar after your meal. The almonds with the low glycemic index will lower a meal with high glycemic index foods which lowers the increase in overall blood glucose. Almonds are loaded with minerals and vitamins. They also contain magnesium, protein, copper, and vitamin E. They can decrease oxidative stress and inflammation in your body by approximately 13%. Almonds are excellent for diabetics to eat so feel free to include them in your diet. While there are several types of almonds you can get the same benefit from them. They come in a variety of forms such as roasted, unsalted, salted, flavored and of course raw. They’re great to add to your meals especially salads. Slice them, chop them, and add to your favorite dessert as well. *Mission almonds have a small kernel compared to the nonpareil and California types but have a hard shell too. These are good for the flavored almonds. *California almonds too have a hard shell but are still fairly easy to whiten and come in varieties like the Carmel, Monterey, and Sonora almonds. *Nonpareil almonds have a flat shape with a skin that is smooth and easy to whiten. They also can be recognized by kernels that are light skinned and smooth and they have an outer shell that is thin. *Brain health- Your brain controls everything and it’s important to make sure that you do everything you can to keep it strong and healthy. Almonds contain the needed nutrients to keep it functioning at it’s peak performance. They contain riboflavin and L-caritine which are vital for your brain and have been shown to decrease the risk of Alzhemier’s and enhance the activity of your brain. *Inflammation- One of the biggest issues, in fact I believe it is the biggest is inflammation because it is responsible for everything going wrong in your body including type 2 diabetes! Antioxidants are the enemies of inflammation because they fight against it and can win! They also have a second weapon against inflammation and that is the fatty acids. Fight inflammation and type 2 diabetes with almonds. *Digestion and constipation- Increasing your intake of fiber will solve your problem with constipation by helping you to have more stools regularly. This aids you in not being able to “go.” It’s the insoluble and soluble fiber that results in bulking up your stools. And because almonds help you with issues with constipation they also provide prebiotic benefits by stimulating the growth of the good bacteria in your gut. *Energy booster- You need a food with calories that are easy for your body to burn and give it fuel for energy and is heavily concentrated and that is almonds. They also contain copper, manganese, and riboflavin which are all aid in improving your metabolic rate. All you really need to boost your energy is one handful! *Cholesterol- You want to lower your LDL bad cholesterol to avoid cardiovascular disease. Consuming almonds not only lowers the LDL cholesterol but also raises your HDL good cholesterol. Again, all you need is just one handful of almonds a day. There’s no need to overdo it. 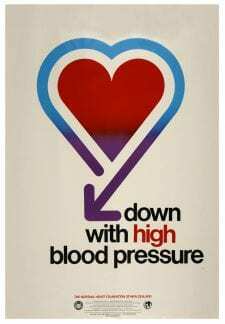 *Hypertension- High blood pressure is serious. And there can be many reasons why this can occur. Being deficient in magnesium is one reason why. There are many folks who are low in magnesium and don’t even know it. There have been studies done to show that a deficiency in magnesium can cause hypertension. Almonds contain magnesium that can help with high blood pressure then. An important fact to note too is that if you’re taking diabetes medications such as Metformin, they can affect your magnesium levels so you may want to check with your doctor about taking magnesium supplements or making sure you eat foods such as almonds with magnesium. 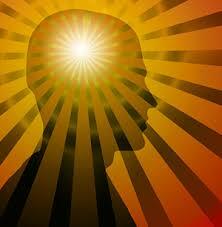 *Your nerves- In order to keep your nerves healthy you need to have a sufficient amount of vitamin B’s in your system. Vitamin B12 is the one vitamin in particular that helps you keep your network of cells healthy. A deficiency in vitamin B can possibly lead to neuropathy which I have in my feet and it’s a numbness that is extremely uncomfortable. You want to make sure your vitamin B levels are good because you don’t want it leading to disorders of your nervous system such as dementia, Alzheimer’s, and neuropathy. Have your doctor run your vitamin B numbers. 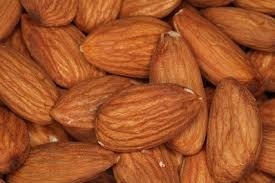 But meanwhile stick with foods high in vitamin B such as almonds. They have made a difference for me! *Your immune system- If your system is high alkaline you can improve your immune system in fighting off diseases and other ailments. Almonds have vitamin E which happens to be a powerful antioxidant that is responsible for removing those free radicals which can be toxic because they do a lot of damage to your body and also encourage chronic disease. In addition, vitamin E in almonds helps fight off infections. You have to protect your immune system because it protects you. *Cancer prevention- Research revealed that regular consumption of almonds can help with lowering your risk of colon cancer. The reason is because they prevent the buildup of plaque which can lead to colon cancer and they accomplish this by supporting an improvement of food through the colon. *Your teeth and bones- You need phosphorous and calcium to help in having strong teeth and strong bones and almonds are excellent sources of these micronutrients. It’s vital to strengthen your skeletal system and enhance your bone mineral density so eat your almonds! It’s especially important for your teeth and bones as you get older. *Anti-aging- We all want to age gracefully and not show signs of aging with wrinkles and aging spots and fine lines. Almond oil comes to your rescue with its anti-aging properties that can help you to avoid this. Just by massaging almond oil on your face on a regular basis will help make a big difference! *Cardiovascular disease- It’s a smart idea to start changing your snacks from carbohydrates to nuts such as almonds. While almonds help lower the LDL cholesterol, they also help with abdominal fat. Along with vitamin E, magnesium, potassium, and folic acid almonds can help to significantly reduce your chance of heart disease. *Muscles- Good levels of protein help in building strong muscles. There’s enough protein in almonds that is going to help you with your muscle strength and help them stay in top shape because of magnesium. They also contain calcium and potassium which help too. So how are almonds good for diabetics? Nuts are healthy for you without a doubt. I love almonds and especially because they are healthy and beneficial for your blood sugar and helping to control type 2 diabetes. Controlling your blood sugar and treating your diabetes naturally is what it’s all about. Almonds can do that so eat them regularly to help your sugar and your overall health too! Reverse Your Type 2 Diabetes Now! I love nuts, the more the merrier. But I didn’t know almonds could do so much for me, what a great excuse to eat more! I have suffered with pre-diabetes and my husband has diabetes. Along with various other maladies of course. they never seem to come alone. I have heard lately that healthy fats are better for you than eating a low fat diet. Because of this we have tried adding a few types of nuts into our meals. it looks like we need to increase our use of Almonds. The health benefits alone could do wonders. I am so glad you took the time to compile this information. Almonds are just fabulous. I don’t know about you, but I use them in so much of the food that I prepare. I make my own almond meal using a high powered blender and substitute for flour. I add it to cakes, biscuits, muffins, and cereal. In fact, so many things. I sprinkle on the top of salads for some crunch. And protein balls, yum! This article is superb and so educating. Much of this type should be posted because I will be coming back. Good job! What a great post. I enjoy eating almonds and always knew they were healthy, but never knew the true benefits behind them. I learned a lot from reading the article, thank you for sharing! Hi Paul, I think some folks just know that almonds are nuts and they should be healthy for you. But I don’t believe they think about more details and other benefits that almonds offer. We all want to eat healthy foods but especially ones that are going to help control blood glucose. I’m glad you learned something and that you’ll pass this on to others. What a great post and wealth of information about how almonds have 13 ways of helping to lower blood sugar as well as how almonds are good for diabetics. I will share your tips as well, especially on how almond oil helps to reduce wrinkles. See instead of purchasing expensive anti-aging cream, one can use almond oil :). Hi Teasha, Almonds are beneficial for lowering your blood sugar and helping diabetes. But they are just healthy overall and do offer benefits for your skin and helping with weight loss as well. Almonds are so easy to just add to your meals. I have them on my salad all the time. I also use almond oil for my skin!